Why was my Amazon account suspended? Suspension Help. Why was my Amazon account suspended? 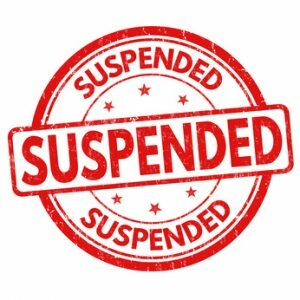 Home → Suspension → Why was my Amazon account suspended? Sellers are often suspended from Amazon without knowing why. Amazon sellers who do not know why their accounts have been suspended are not alone. If you don’t know why your Amazon sellers account was suspended or why you have lost the ability to sell specific ASINs, you need to examine your account very closely. “We have a team of people who write appeals to Amazon full-time. Amazon tends to be incredibly brief and vague in their Performance Notices. Many people will contact us and say that they are not aware of why they were suspended. Upon our review of those Performance Notices, we often find that what Amazon is looking for can be as brief as one sentence and easily overlooked.” ~ Sean Law, Paralegal at Rosenbaum Famularo, PC. Suspended Amazon sellers should review their performance notifications, messages, feedback and all Amazon seller metrics. Often, suspended Amazon sellers can identify why their accounts were suspended. Suspended Amazon sellers need to evaluate their entire businesses to attempt to uncover other reasons why Amazon may have suspended your Amazon Sellers account. Rosenbaum Famularo, P.C., the law firm behind AmazonSellersLawyer.com can assist you in discovering the issues within your suspended Amazon sellers account that caused your Amazon account suspension. We’ll provide a detailed analysis of your seller account, identify the underlying issues, and figure out how to address each of them before we complete your plan of action and get your Amazon Sellers account reinstated. Unlike other companies offer to help sellers write their plans of action and appeals, our entire team of account analysts/paralegals work together in our offices in Long Beach New York. We work in a collaborative environment so that each suspended Amazon seller gets the benefit of our cumulative experience writing plans of action and appeals. Nothing pertaining to your suspended Amazon account is outsourced. Also, suspended Amazon Sellers who hire us get the benefit of 100% confidentiality under the attorney-client privilege, the benefit of having all college educated paralegals working on your suspended Amazon account and attorneys on your side. Like Amazon Sellers Lawyer on Facebook for up to date news on all things Amazon.